Lakecrest Subdivision is in the East Area of Tucson, AZ. This Tucson Subdivision is south of E. Stella Road, between S. Camino Seco and S. Pantano Rd. For golfers, the Fred Enke Golf Course is minutes away. The East area is noted for Horse Properties. Large 1 to 3+ acre lots provide the space for a home and horse facilities. Lakecrest Subdivision is near the Chuck Ford Lakeside Park. This is a great place to picnic with family and friends. 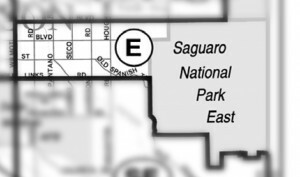 And the Saguaro National Park – East is minutes away. The park offers a unique look into the stately Saguaro Cactus. This vast area has one of the largest populations of cacti that are the recognized image of the west. Families living in Lakecrest Subdivision are served by the Tucson Unified School District, or TUSD. Restaurants to visit if you live in the Lakecrest Subdivision or another East area location are El Sur and Baja Cafe. Considering A Home In Lakecrest Subdivision? Are you thinking of buying a home in the Lakecrest Subdivision or another area of Tucson? Finding the right home can be a challenging process. But we can make the process much less stressful for you. Thinking about selling a home in the Lakecrest Subdivision?